When your looking for more than just a van, the Mercedes Sprinter will do the job. The Mercedes Sprinter is the perfect choice for comfort and luxury. 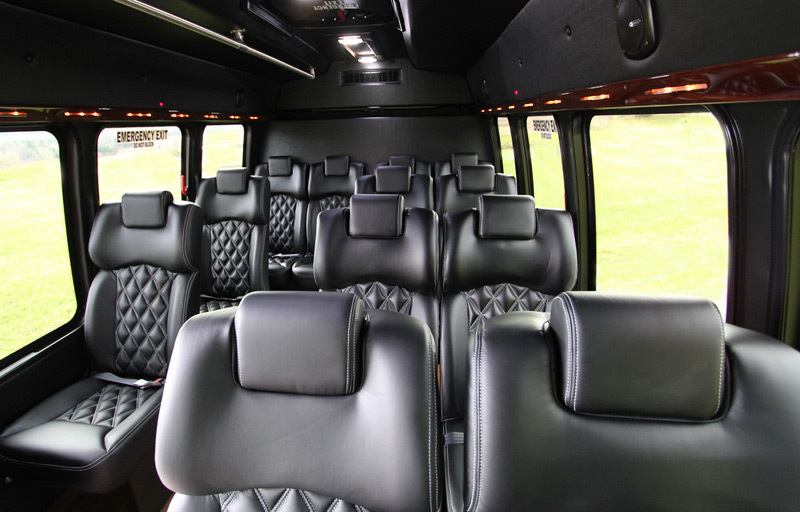 It's stylish look and roomy interior is perfect for that executive meeting around the city. With ample luggage space, the Sprinter is ideal for airport transportation, hourly services and any other occasion that requires the moving of small groups of up to 12 passengers. Call us today at 800-295-3150 and let us setup you next transportation service or request an Instant Quote Now!